Gerry Mulligan and Chet Baker seemed so sophisticated and bad. I wanted to be like that. I don’t think you can ever regain your ignorance. I got started when I was 3 years old because my father was a music teacher and my lessons were free. Instead of learning to walk, you learn to play the piano. I don’t enjoy traveling in America. I don’t like the food, the cars. It is not exotic enough. It all tastes a bit like airline food. I don’t need much coaxing. I just got to hear every note. After I left Birdland, I started working at the Jazz Gallery. In the end, I still couldn’t play, but I knew how to listen. I was probably the world’s best listener. Listening is more important than anything else because that’s what music is. Somebody is playing something and you’re receiving it. It is sending and receiving. I like chords that are very lush with all the lush parts taken out. It would be really hard to get serious about anything political today unless it was a joke. I still prefer the bebop of the ’40s. The very stuff I started out with is still the best to me. I have come full circle. Living composers writing for big band are very few and far between. There are not a lot of them, and I have a talent for doing it. I am zeroing in on what I do best. There are times when what’s happening in rock is the best music in the world, and there are times when there is nothing worthwhile at all. One performer whose band played my music better than I could myself was Art Farmer. He recorded ‘Sing Me Softly of the Blues’ and ‘Ad Infinitum’. When Ronald Reagan was elected I was on a bus traveling with a band in France. I wrote a little arrangement of The Star Spangled Banner in a minor key. When you are studying jazz, the best thing to do is listen to records or listen to live music. It isn’t as though you go to a teacher. You just listen as much as you can and absorb everything. When you have 13 horns, and one is soloing, you have 12 people to play the richest, fullest chord you could ever imagine behind that solo. 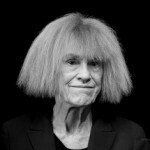 Carla Bley was born in Oakland, California. She is an American jazz composer, pianist, organist and bandleader. An important figure in the free jazz movement of the 1960s, she is perhaps best known for her jazz opera Escalator Over The Hill, as well as a book of compositions that have been performed by many other artists, including Gary Burton, Jimmy Giuffre, George Russell, Art Farmer, John Scofield and her ex-husband Paul Bley.